Epic in scale, in Lucy Bailey’s inventively staged production it takes three hours of Dickensian storytelling and more than 50 scenes before young Pip is finally transformed from humble beginnings on the Kent marshes to gentlemanly status in money-driven London. Unlike Miss Havisham’s stopped clocks, however, time whizzes by. Michael Eaton’s adaptation cleverly trims the book’s vast narrative architecture involving secret benefactors, stunted friendships, unlikely coincidences and the acquisition of tainted wealth, giving the story an enthralling new dramatic framework. By removing the first-person narration, Pip’s fateful journey still remains the focus but familiar characters and emotional dynamics develop a powerful, almost fairytale-like theatrical momentum. The approach really pays off during Act II, when the revelations about the seedy origins of Pip and Estella’s upward mobility suddenly turn into thrilling semi-Shavian debates about the corrupting influence of Victorian values. This is definitely Dickens de-cliched, with Mike Britton’s immense, revolving set conveying a sense of heightened reality while conjuring up recurring childhood nightmare images of eerie marshlands, spooky graveyards and murky tar-stained Thames-side wharves. Bailey’s acting ensemble avoids Dickensian caricatures too. 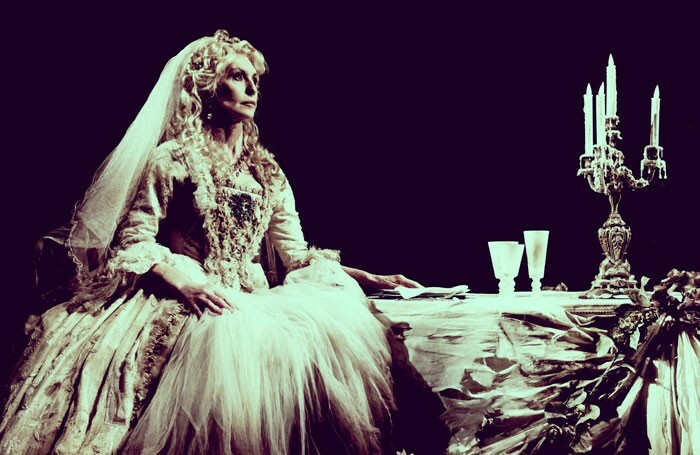 Jane Asher’s vindictive, corpse-like Havisham may be a walking fright-night in white but you really can believe in her final fatal repentance. Child actors Rhys Gannon and Imogen Cole are totally assured as the emotionally abused young Pip and Estella. As the grown-up Pip, Daniel Boyd is equally assured in the transition from immature youth to aspirational adulthood, and Shanaya Rafaat is throughly chilling as an ice-cold Estella whose heart never melts.